Bead, sterling silver, 2x1mm liquid straight tube. Sold per pkg of 20. Item Number: H20-A2671MB Have a question about this item? Sterling silver has a classic appeal that adds beauty and value to jewelry designs. 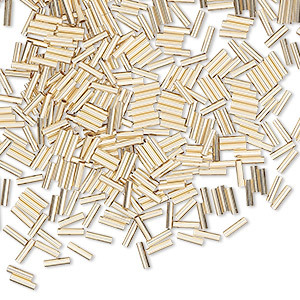 Liquid straight tube beads are design-enhancing components that have a wide variety of applications in creative designs. 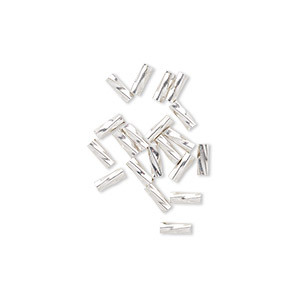 Bead, sterling silver, 2x1mm straight tube. 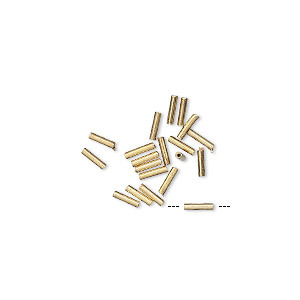 Sold per 1/4 troy ounce pkg, approximately 750 beads. 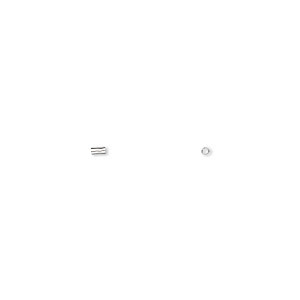 Bead, sterling silver, 2x1mm straight tube. Sold per 1-troy ounce pkg, approximately 3,000 beads. Bead, sterling silver, 4x2mm liquid twisted tube. Sold per pkg of 20. Bead, 14Kt gold-filled, 4x1mm liquid round tube with 0.4mm hole. Sold per pkg of 20.